At breakfast time you may have pondered the choice as to what to have. Do you fancy jam and toast or a breakfast muffin, decisions decisions. Well not any more. This new product from Greggs actually consists of both, it is a Jam and Toast flavoured Muffin the creativity of which really made me smile. 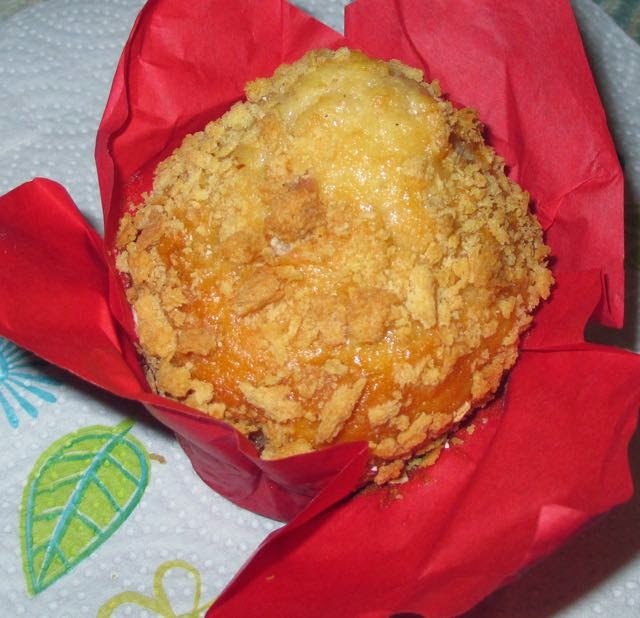 The muffin is packaged in a bright red wrapper and has a crumble like topping. This topping turned out to taste like toast, it was oat like and bizarrely bread like. The flavour of the sponge was like this too, it wasn’t that sweet but did remind me of toast and butter. It was pleasant and fun, but also very tasty. Texture wise it was a lovely light sponge and not heavy like you might have thought from the suggestion of toast. 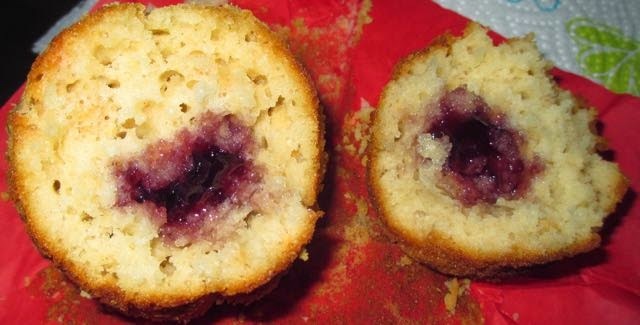 When I got to the middle of the muffin there was a huge dollop of raspberry jam sitting in the middle. This was a little runny, but not messy. It was packed with a lovely burst of berry flavours that sweetened up the overall taste of the toast like flavour. As you can imagine the jam and toast flavours worked very well together. I found the muffin really satisfying, spot on for a fun quick breakfast with a nice hot coffee. Yes I know I’m easily sold on a novelty, but this actually works, wholesome toast flavours and a sweet jam centre all packaged in a fluffy sponge – heaven. If you’re looking at something more filling I noticed Greggs have started doing egg as an addition to the breakfast range, so I’m looking forward to trying their bacon and egg sandwich next.